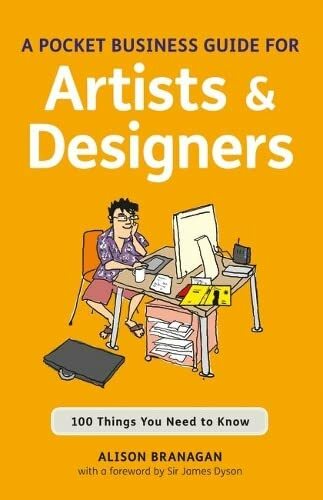 [PDF] A Pocket Business Guide for Artists & Designers: 100 Things You Need to Know (Essential Guide) | Free eBooks Download - EBOOKEE! Description: Aimed at arts graduates, this handy pocket guide answers the most pressing questions graduates have when setting up a creative business. Many students who graduate from art school don't know how to make a living out of their work, but this book presents 100 useful business related things (explained in 250 words or less) that they should know before embarking on a career in the arts. The book is divided into 5 sections that will help visual artists achieve success in this competitive field: business, promotion, legal stuff, money and last thoughts. In short, it briefly covers all the main questions arts students may have about starting their careers. 2018-01-03[PDF] From Zero to Infinity and Beyond: Cool Maths Stuff You Need to Know. No comments for "[PDF] A Pocket Business Guide for Artists & Designers: 100 Things You Need to Know (Essential Guide)".